Berlin held its annual celebration of travel last week as ITB Berlin 2014 came to a close on March 9 after five busy days that added about 170,000 visitors to the German capital’s arrivals list. The ITB Berlin Convention was held parallel to the trade fair, from Wednesday to Friday, March 5 to March 7. This year’s figures in a nutshell show that ITB had about 170,000 people teeming through the 26 halls of Messe Berlin's massive fairgrounds to look at 10,147 exhibitors from 189 countries. For lovers of travel, geography, culture and last but not least, Berlin, it was breathtaking. About 110,000 of the visitors were industry professionals, which represents a four percent increase over last year’s ITB, and they did more than $9 billion in business. For the tourism industry it’s a wonderful multiplier of the world’s travel show located in Europe’s hottest city. In 2013, for the 10th consecutive year, Berlin’s tourism has set records as the city registered 26.94 million overnight stays for an 8.2 percent growth over 2012 and 11.32 million arrivals (+4.4 percent). By December 2013, the 25 million threshold in overnight stays was crossed for the first time. In 2013, Berlin saw 11.6 million overnight stays from international visitors, an increase of 9.2 percent (compared to +4.5 percent for Germany as a whole). The number of international visitors increased by 5.1 percent to 4.3 million. Germans accounted for 57 percent of overnights, while other Europeans made up 31 percent and 12 percent were from overseas. Most of the foreign overnight stays were generated by visitors from the UK, Italy, USA, Netherlands, and Denmark. ITB, like so many other Berlin stories, is rooted in the Cold War. It was created in 1966, a U.S. State Department initiative, just five years after the Wall was first driven through the heart of the city. In those days, West Berlin was an island of freedom surrounded by the former German Democratic Republic, known in the U.S. as “East Germany,” one of the most tyrannical of the Soviet Socialist Republics. Berlin, in those days, was the trembling raw nerve between the two super powers. Thus the West Berliner’s perspective on travel was cultivated by looking over the Wall and seeing this most basic of freedoms denied to their countrymen. That perspective is probably why Germans today from the East and the West see travel as one of freedom’s finest privileges. In 1966, the first ITB opened nine exhibitors from five countries who displayed their goods to 250 attendees. 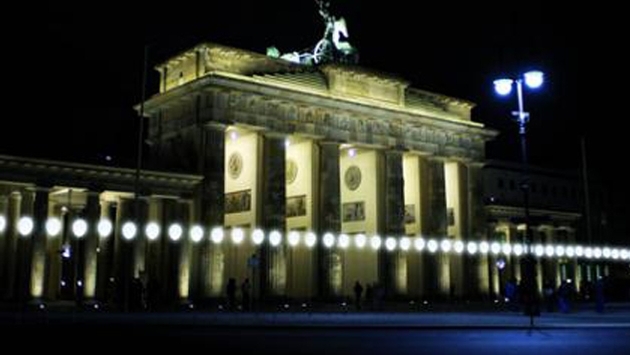 Berlin hosts 345 events are held each day on average, but no meeting compares to ITB. Next year’s edition will be held from March 4 to 8.